Netview is a tool that allows our Technical Solutions team to receive network performance reports (end-to-end) from your phone's network. The software client is a lightweight, background application that runs on the same network as your phones (for the most accurate results). 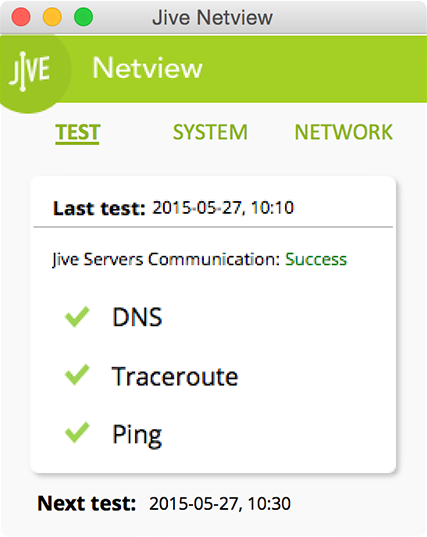 It periodically tests your network connectivity with Jive and sends those results back to us for analysis. With this data, we can better serve you and help troubleshoot any network issues.